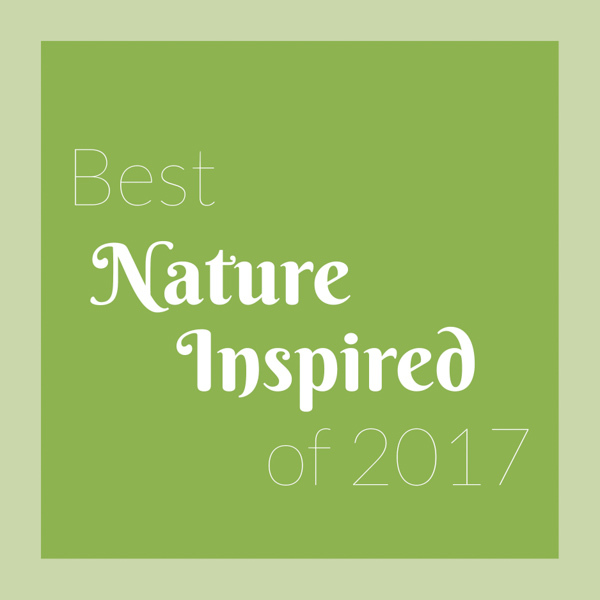 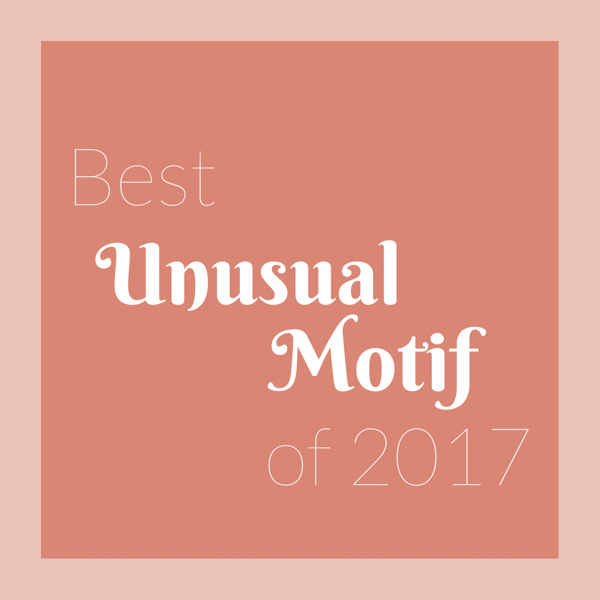 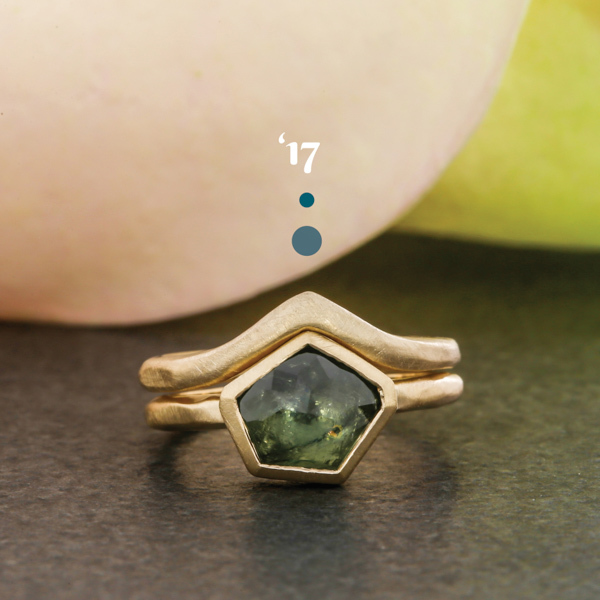 Each year artists at Green Lake look back on their favorite pieces of the year. 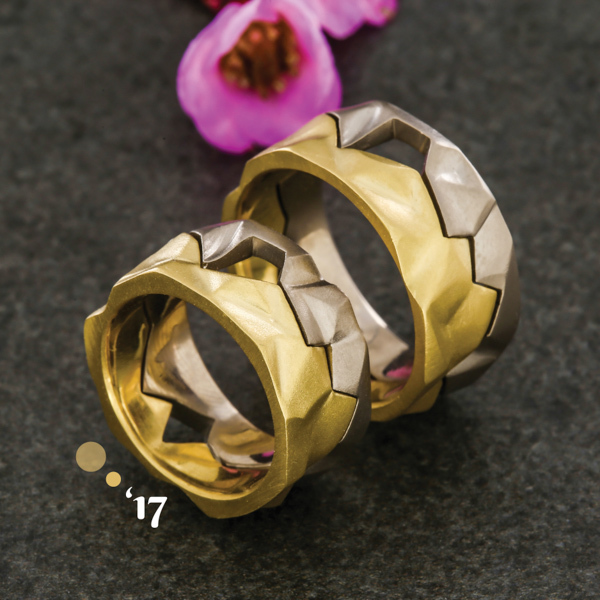 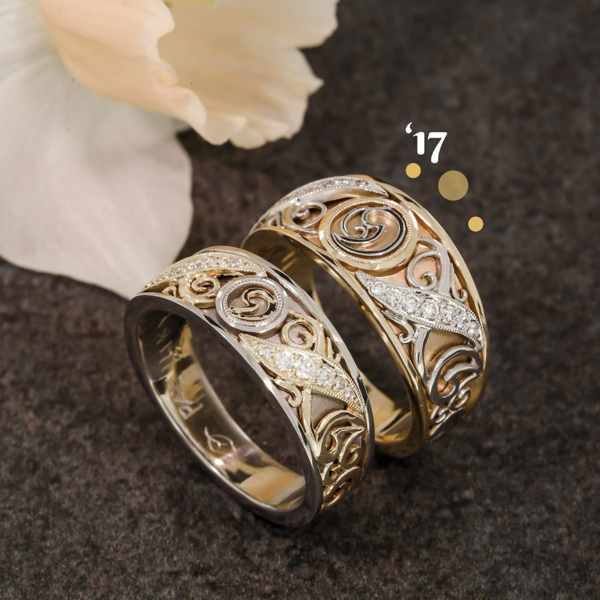 These are rings that dazzled and delighted us, but more so offered us the opportunity to design unique pieces within the most popular wedding ring styles today. 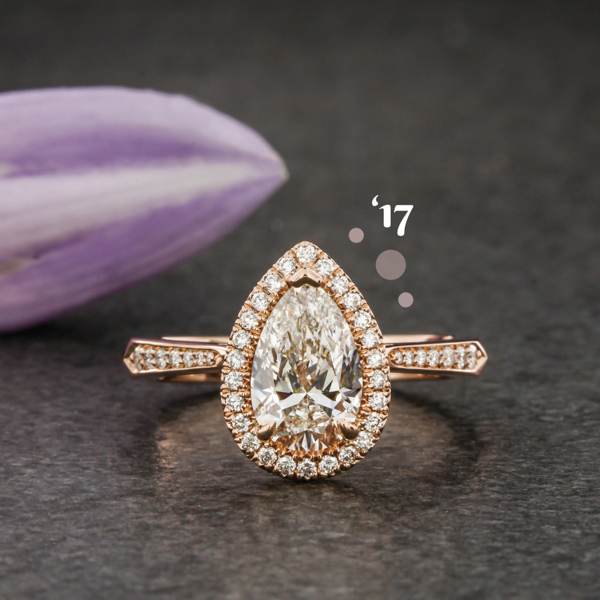 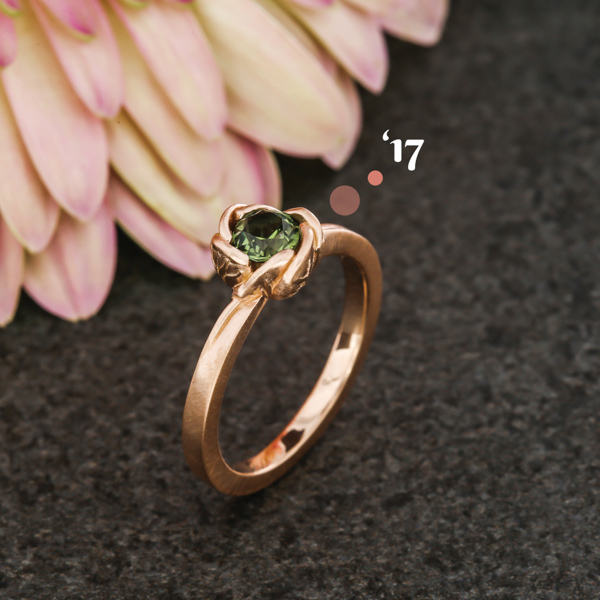 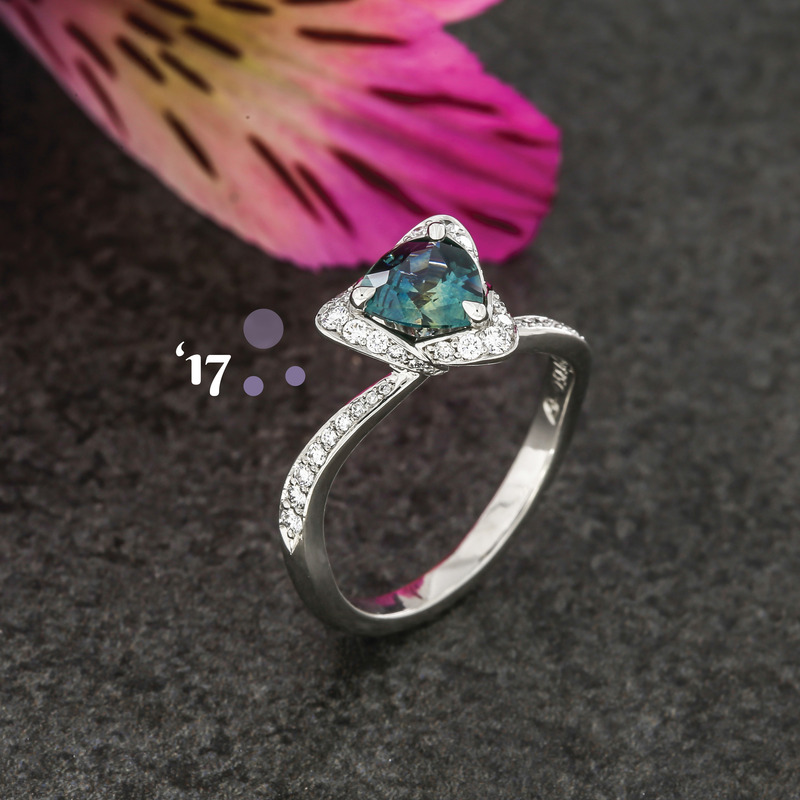 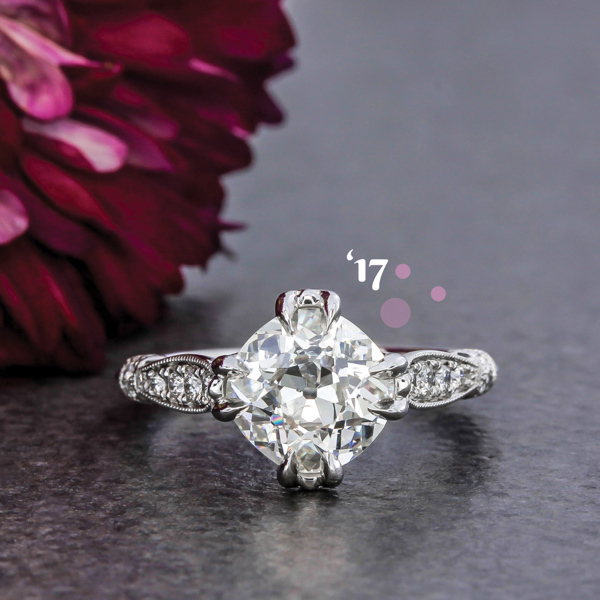 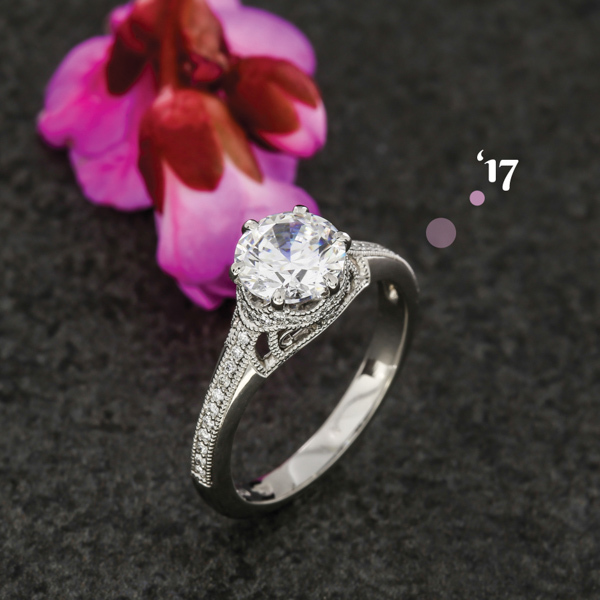 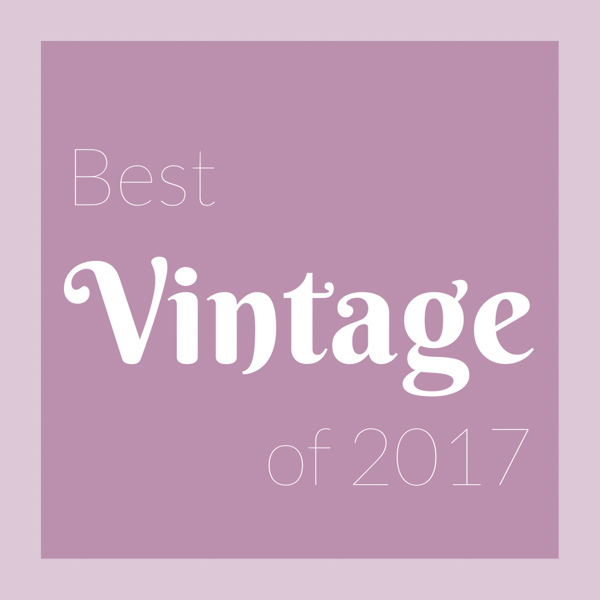 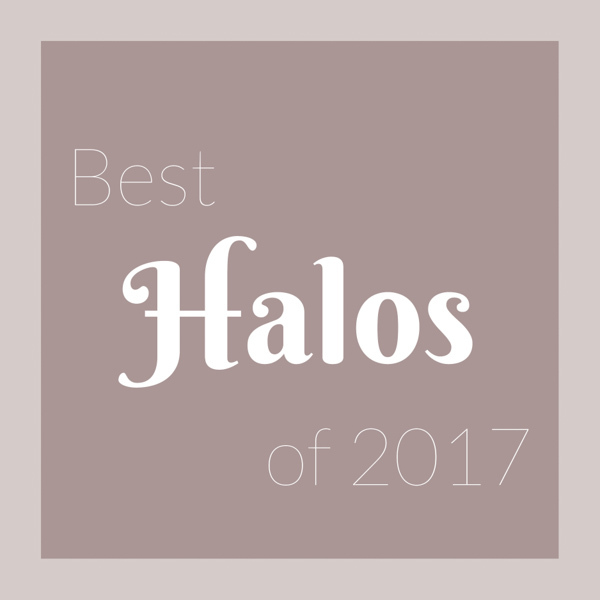 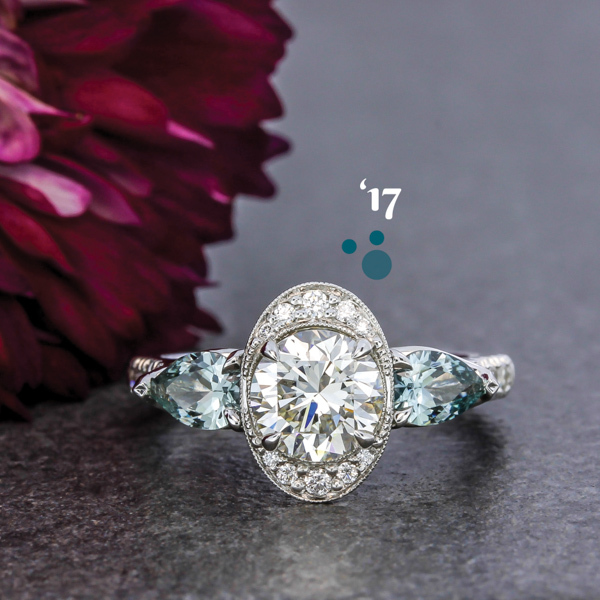 Here are our 7 favorite styles – and 30 favorite engagement rings – all from 2017. 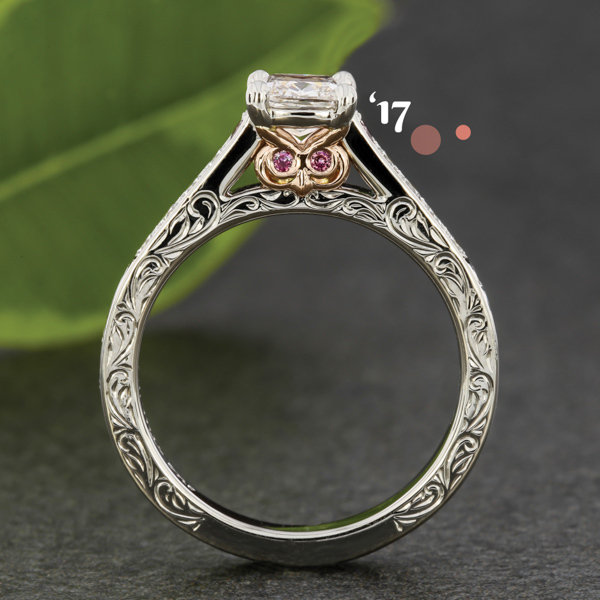 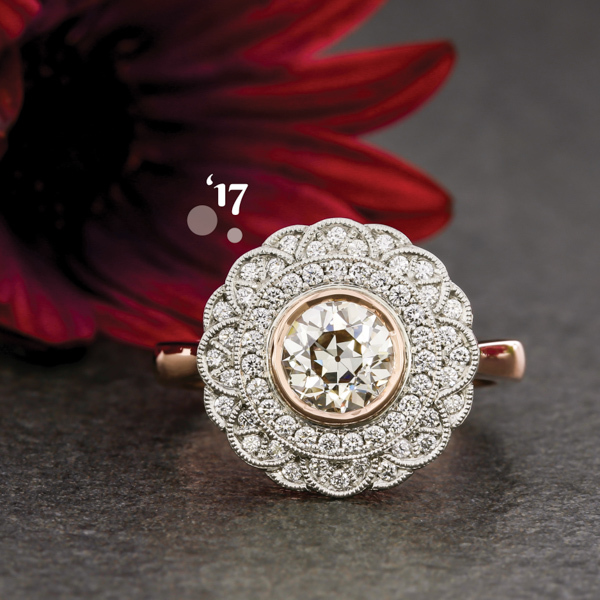 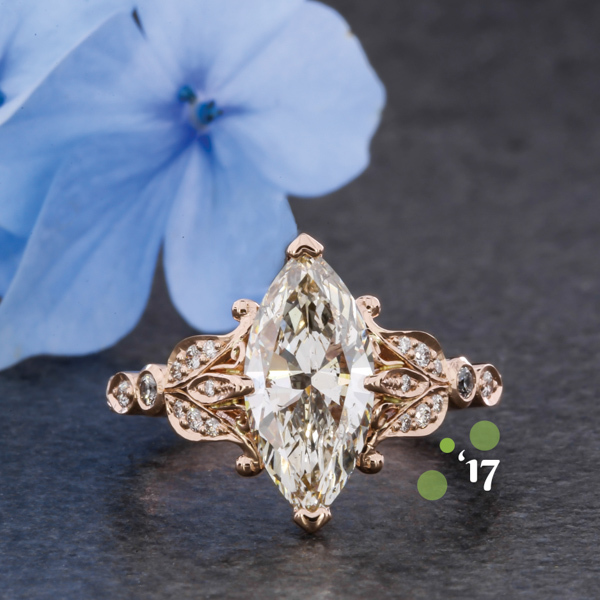 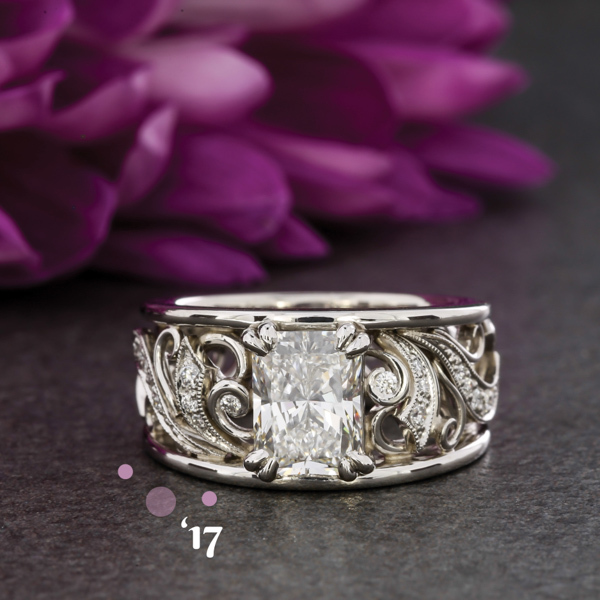 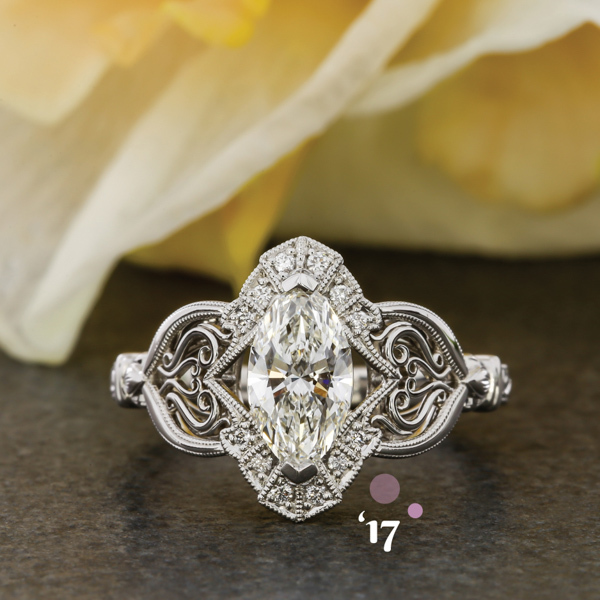 We love when our Artists use old-world jewelry techniques to create flowing filigree, delicate pierced patterns, and the finest milgrain to vintage-inspired pieces. 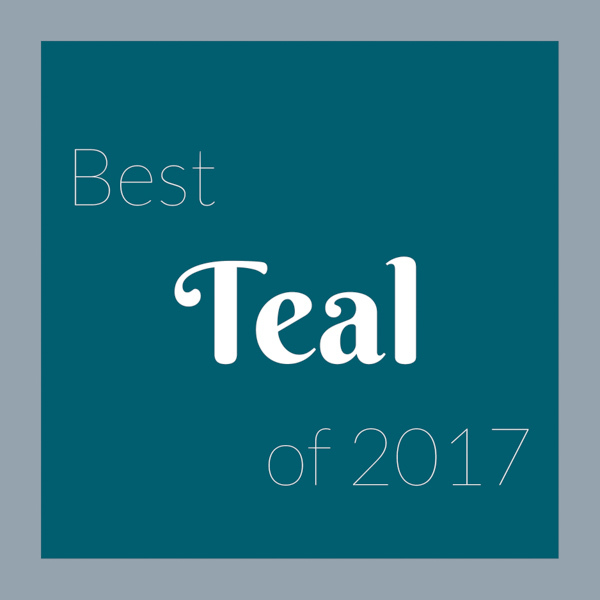 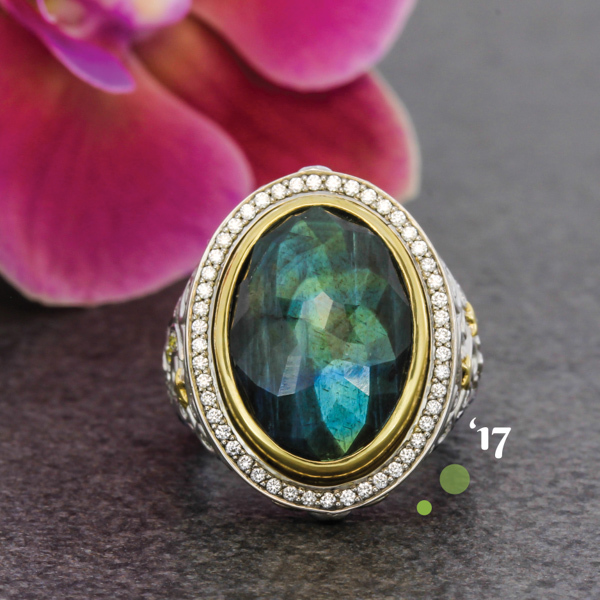 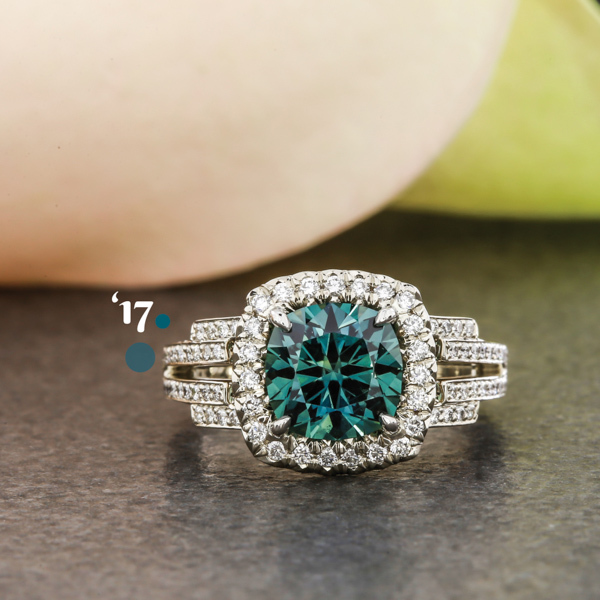 One of our favorite colors from the year was this stunning shade of teal. 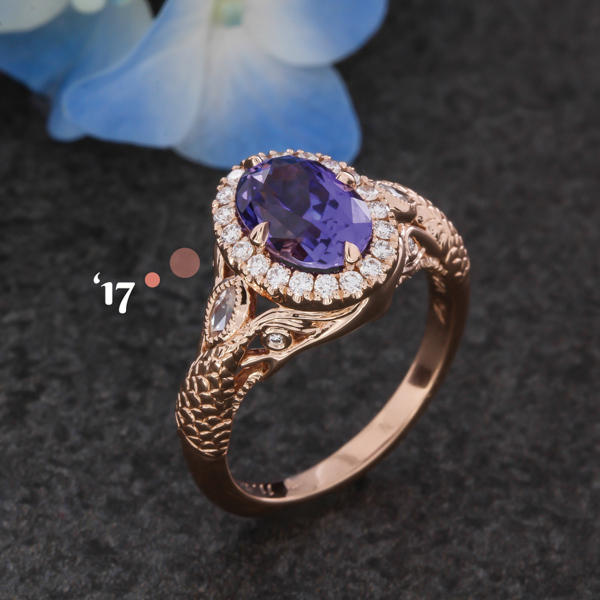 The best way to get that striking color? 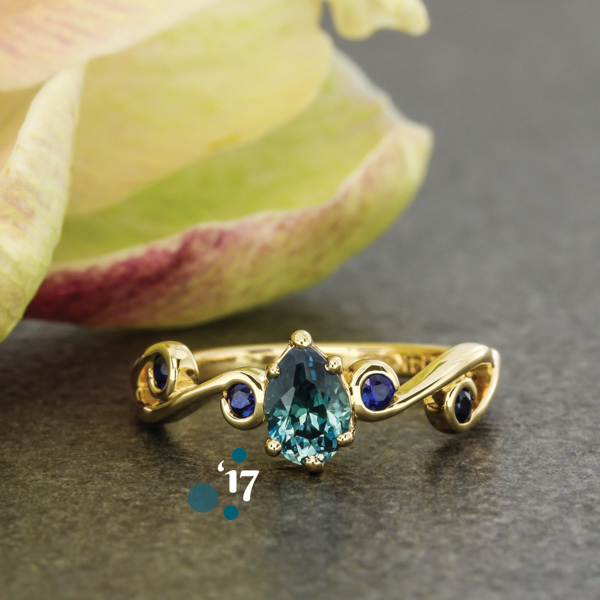 with Montana sapphires of course! 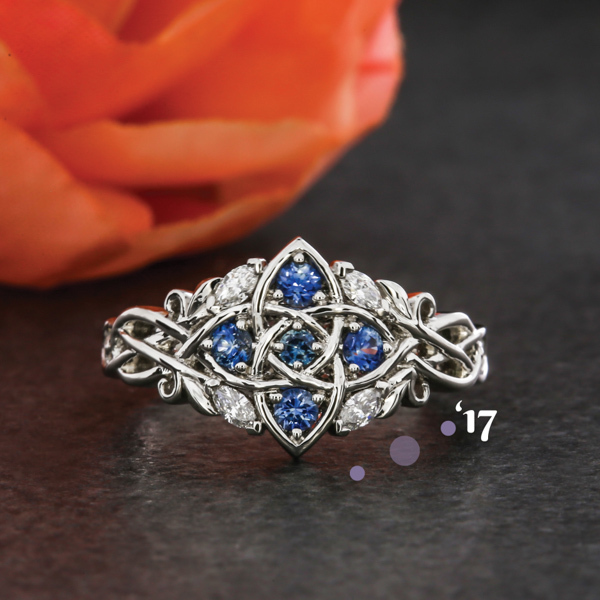 Playing with color is a lovely way to add contrast to your jewelry. 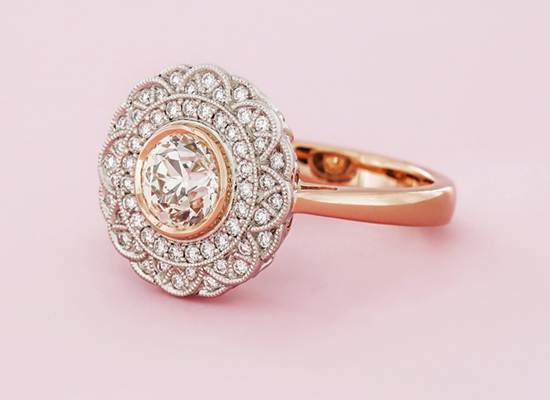 It’s hard to imagine these designs in just one color —More rose and yellow gold, please! 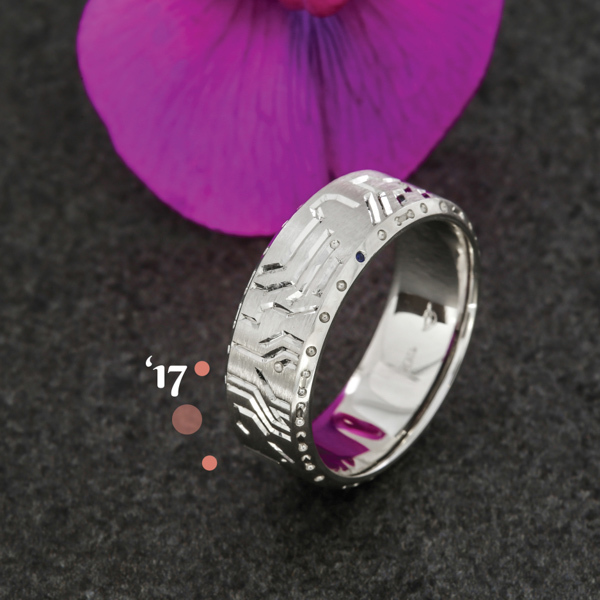 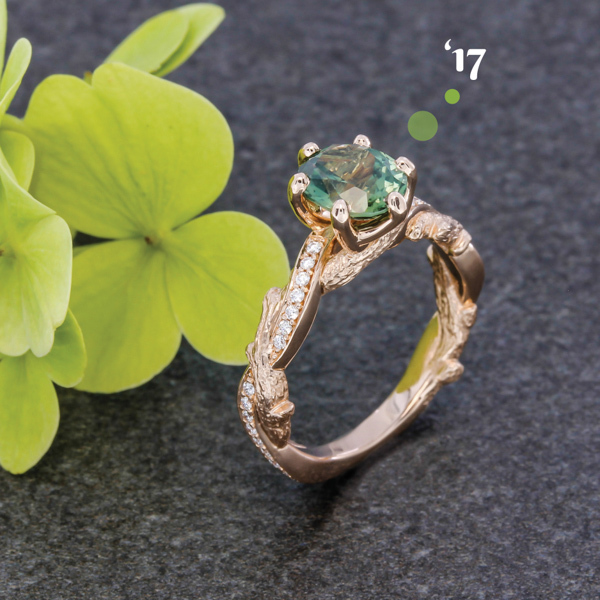 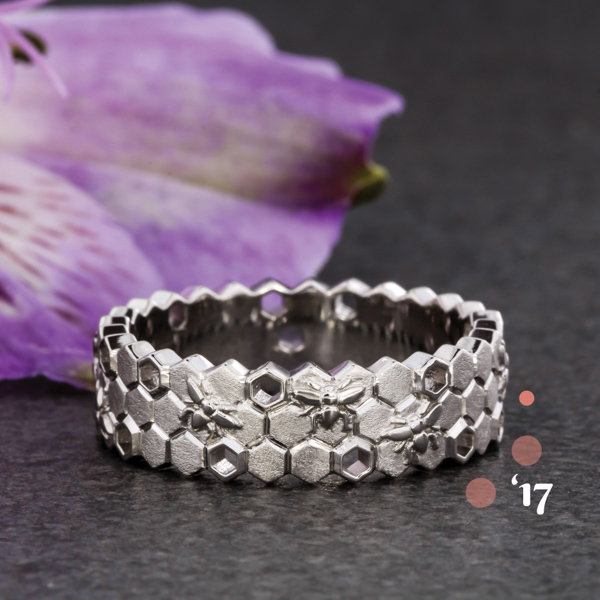 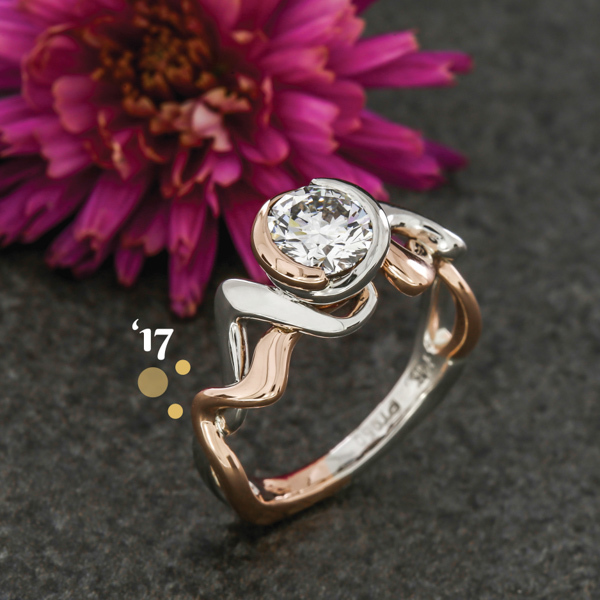 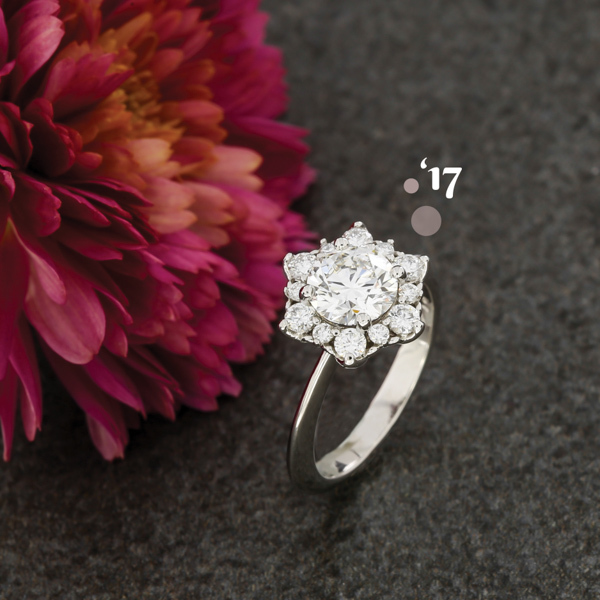 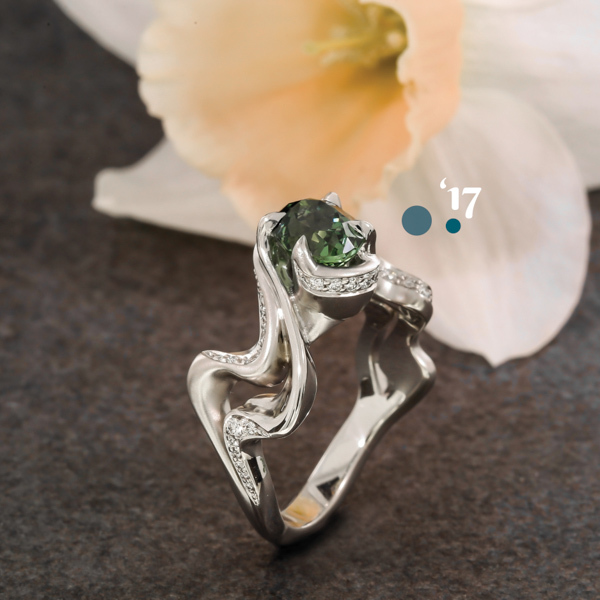 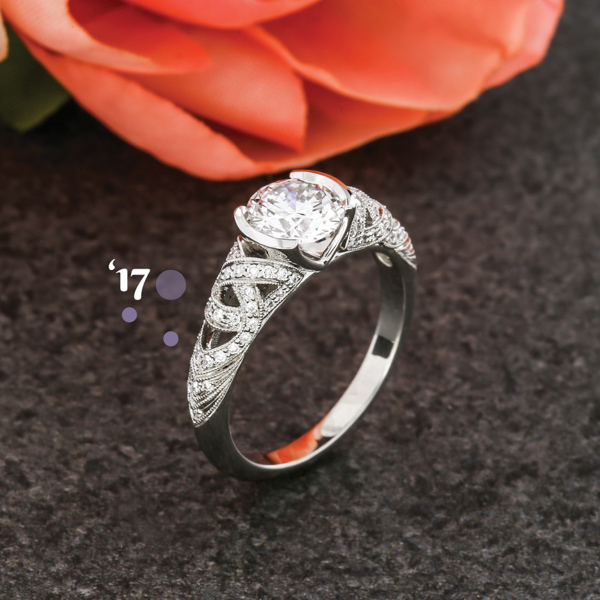 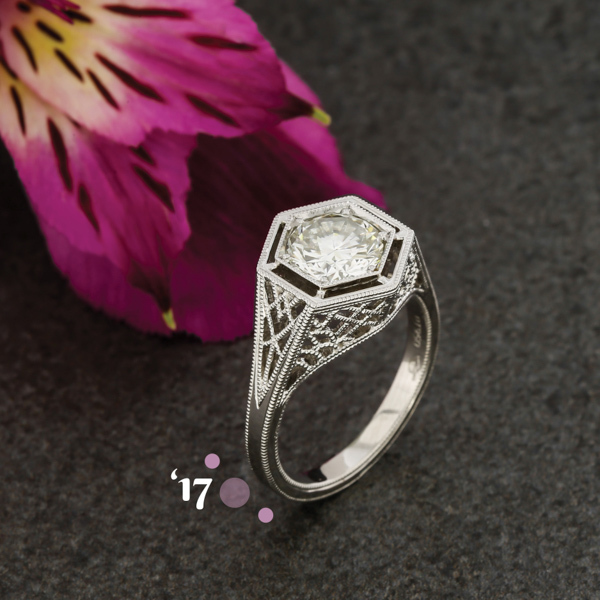 Flowers, leaves, favorite hikes, and rivers heavily influenced the design details of these stunning rings and add a sentimental touch too. 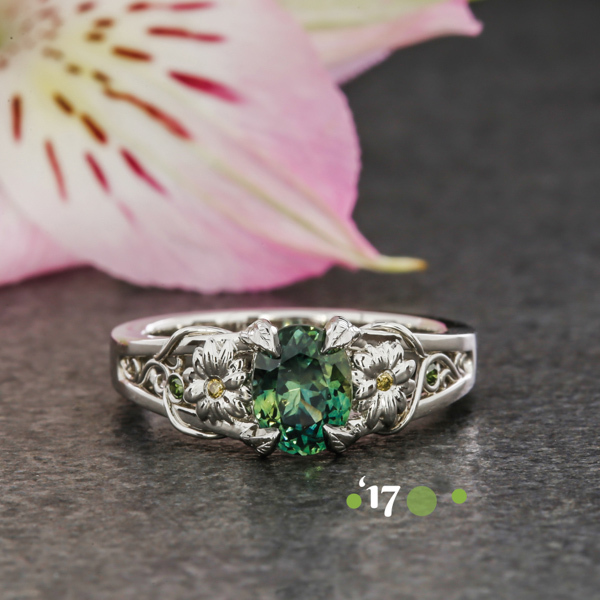 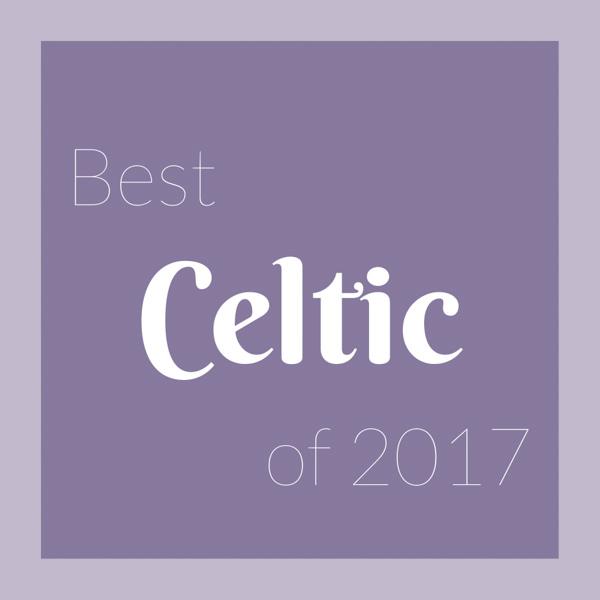 Celtic details are always popular at Green Lake, and this year there were some especially creative new styles. 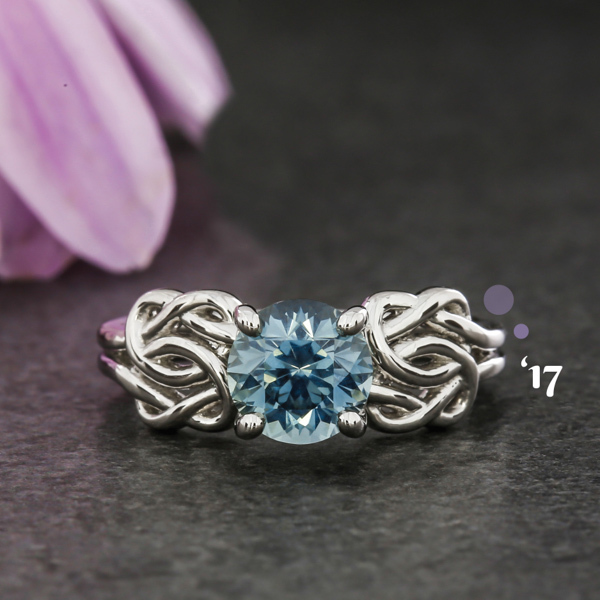 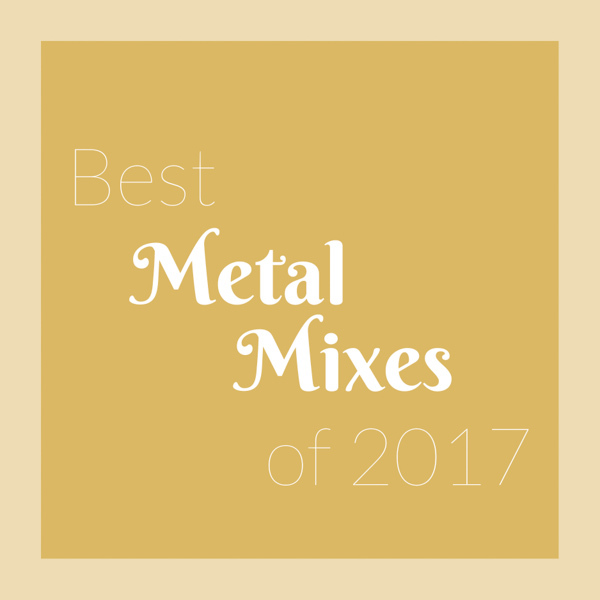 It’s hard to pick a favorite, so we chose four! 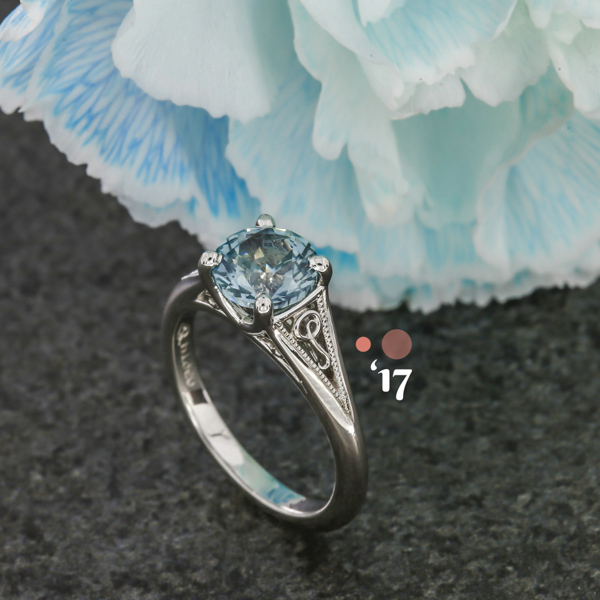 You never know what detail a client will want to add to their custom design when they walk or write in to our studio. 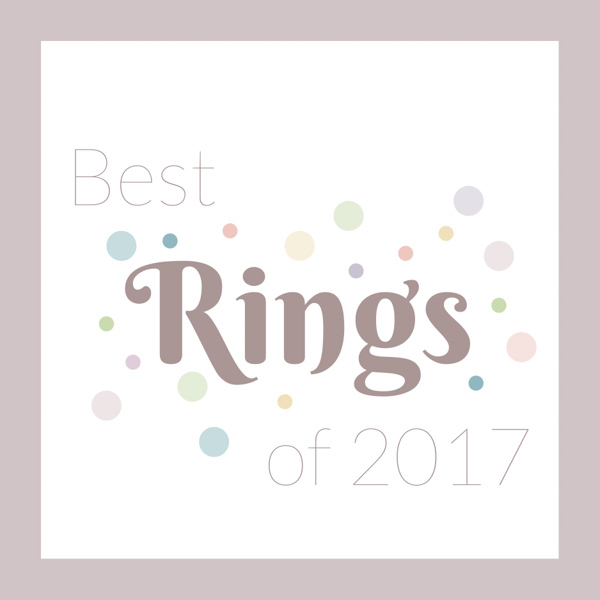 We are so glad all these clients came to us because the story of their ring is too unique not to share!